BitQuery is a GitHub1 API driven and D32 based search engine for open source repositories (OSR). 1. GitHub is the world's largest code hosting platform for version control and collaboration. The API Parser Layer and Smart Data Layer have been programmed in R using various CRAN packages, see also the References. The design and implementation of the D3-3D Visu layer is described in detail in the VA-App section. 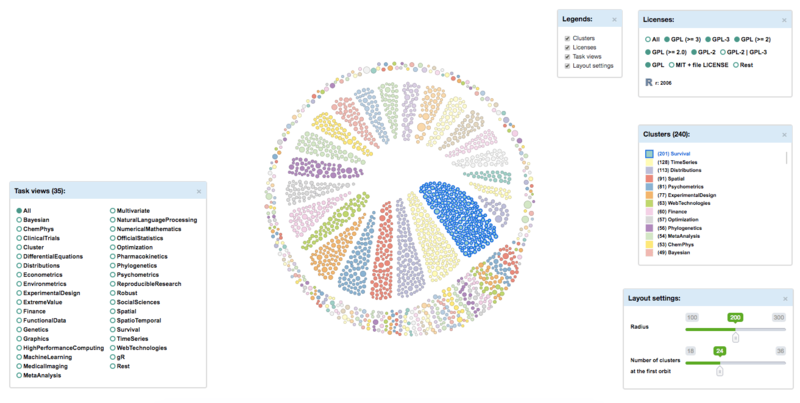 BitQuery VA-App creates an interactive network visualization that allows to overview, sort, zoom, filter and query the data. Additional components such as Legends, Tooltip and Search field provide detailed information on chosen subsets or single data nodes. "Analyze first - show the important - zoom, filter and analyze further - details on demand." Shows detailed information on the chosen data node, e.g. 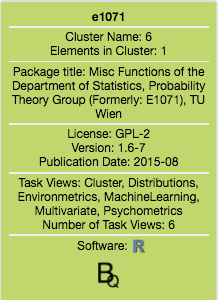 package title, version etc. 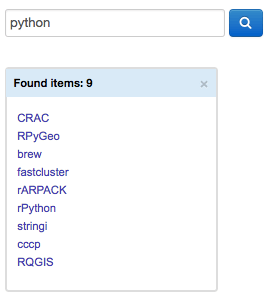 Various Search parameters, e.g. package or author name. 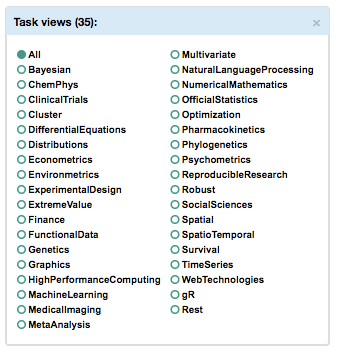 Interactive Legends which enable to filter and project data subsets according to various dimensions and parameters. 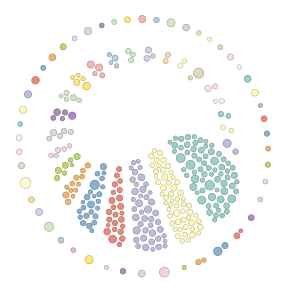 Flexible layout settings for the radial graph scheme (by orbits). Highly customizable graph layout which visualizes selected data. Creates and organizes the legends and performs interactions between them and the graph layout. 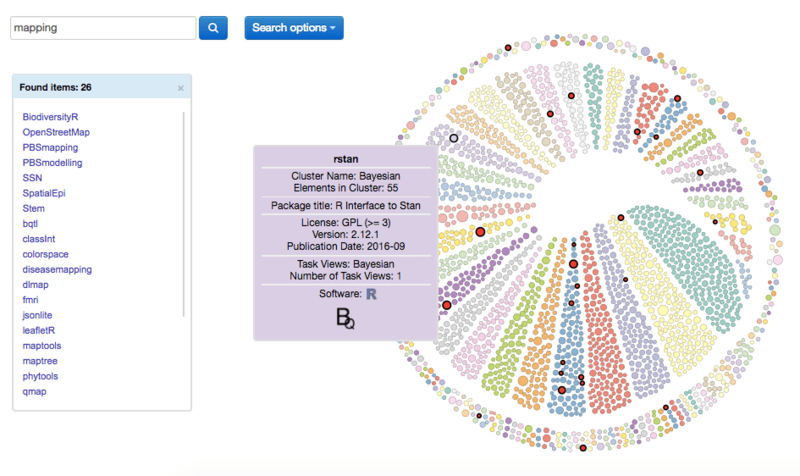 Creates an interactive network visualization that allows to overview, sort, zoom, filter and query the data (the animation will start when you move the mouse over the image).